Many people planning a move to Portugal begin their search by looking at Central Algarve property. This is arguably the most popular area in Portugal with home buyers and holidaymakers. The Central Algarve is home to a network of world-famous luxury lifestyle resorts called the “Golden Triangle.” This is made up of Vilamoura, where we have our offices, Quinta do Lago and Vale do Lobo. The popular resorts of Albufeira and Carvoeiro are also in this region. 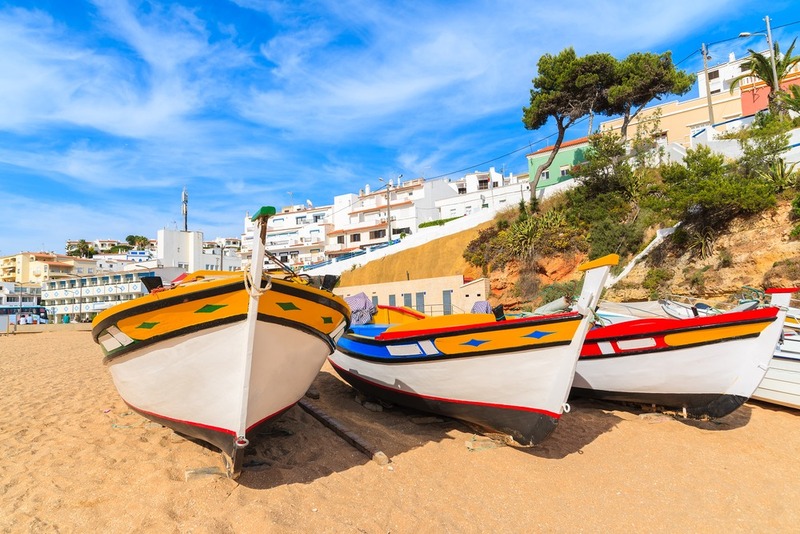 Albufeira is an area of Portugal which has long been a favourite with holidaymakers and property buyers. It is one of the most popular destinations in Portugal, offering plenty to see and do. Albufeira is popular for its lively mix of restaurants, bars, nightclubs and beaches. However, it started life quite differently; It was first a walled Roman town, and then existing as a traditional fishing village until the 1960s. In the 1980s, the area experienced a boom, growing significantly and developing into more of a city. The beaches in Albufeira are beautiful, but the most popular can be busy in high season. The beaches in Albufeira are beautiful, but the most popular can be busy in high season. It’s worth doing your research to find some of the quieter spots to get away from it all. The old town hosts festivals, concerts and firework displays throughout the summer. There’s also a huge party on New Year’s Eve that attracts people from all over the country. Armação de Pêra is another popular destination – both for holidaymakers and for those seeking Central Algarve property. Armação de Pêra is located between the other popular resorts of Albufeira and Carvoeiro. Home to a stunning length of golden, sandy beach, this resort is popular with families. There are coves, caves and lots of other nooks and crannies to explore. The town is also known for its annual sand sculpture festival (held away from the beach). This is on a breathtaking scale and well worth a visit. Armação de Pêra is also located close to a number of attractions, including Albufeira (detailed above) and the local town, Pêra, for shopping. Also nearby is the medieval walled town of Silves – for a history and culture fix, and the Zoomarine Park in Guia. Guia is a small town popular with celebrity homeowners. Authentically Portuguese, the atmosphere is quaint and relaxed. There’s a small “old town” with traditional bars and restaurants offering typically Portuguese fare. In contrast, there’s also a large, modern shopping mall on the outskirts of the town. Additionally, you’ll find an abundance of DIY stores and garden centres along this stretch of road. The closest Blue Flag beach to Guia is around a ten-minute drive away, at Galé. This west-facing beach offers watersports and a small selection of bars and restaurants. For more peace and quiet, try nearby Armação de Pêra, or for nightlife and more hustle and bustle, head to Albufeira. Both of these resorts are only around 15 minutes away by car. Carvoeiro is a small town in the Central Algarve with stunning views across the coastline. 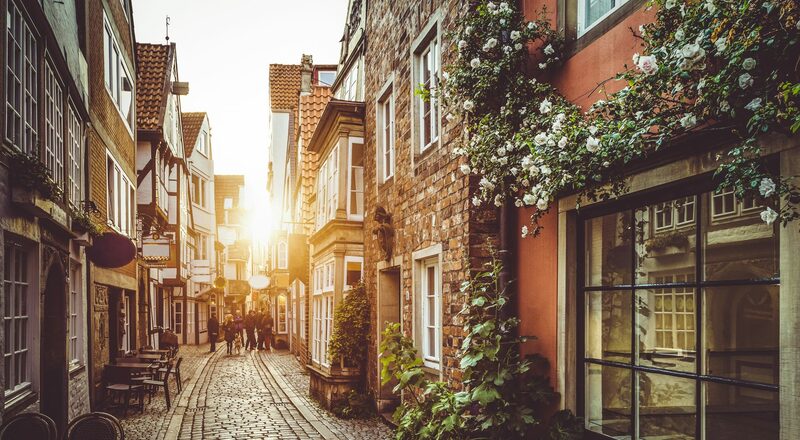 There are traditional cobbled streets and pretty, whitewashed buildings. Although Carvoeiro is a small resort, essentially based on three main streets, there is a great selection of restaurants and bars in the area. This is also a good place to find a wide selection of Central Algarve property – both in town and in surrounding villages. Here you will find plenty of luxury villas and secluded residences. The beach, with its brightly coloured fishing boats, is the postcard picture of Portugal that you might imagine from days gone by. However, it’s fair to say the main town beach gets busy in the summer! The other beaches in this area are a picturesque series of small coves, with a famous network of caves within the cliffs. Quinta do Lago is bordered by the stunning Ria Formosa National Park and the Atlantic Ocean. However, it’s only around 20 minutes by car from Faro airport. Quinta do Lago is an area of outstanding natural beauty, surrounded by pine trees, hills, rare plant and animal life, and ample greenery. In addition, you’ll find over two miles of sandy, Blue Flag beaches and an impressive network of sand dunes. The exclusive nature of Quinta do Lago has seen it become home to celebrities. It is one of the most expensive places to buy Central Algarve property. The resort is an exclusive golfing location, with four golf courses. Quinta do Lago reflects a great sense of pride in the sport. It has been an important part of the culture in Portugal since the 1970s, when the first Portuguese Open golfing tournament was held. This region also provides plenty of opportunities to participate in other sports and leisure activities. These include tennis, horseriding, watersports and fishing. The exclusive nature of Quinta do Lago has seen it become home to celebrities. It is one of the most expensive places to buy Central Algarve property. However, there’s a wide range, ranging from modern apartments to huge, sprawling villas. Vale do Lobo, also approximately 20 minutes away from Faro, is made up of some of the most exclusive residences in the Algarve. Here you will find luxury villas, an impressive beach and a world-renowned golf resort. There are plenty of restaurants and bars, offering a wide variety of food and drink. There are also lots of leisure activities on offer. For those who prefer relaxation and pampering to a few rounds on the golf course, there is the Royal Spa, offering a wide variety of spa treatments and therapies. The resort is particularly well taken care of and everything is clean and tidy. Vilamoura has a reputation as one of the top resorts in Europe and is a top choice for those seeking Central Algarve property. Vilamoura spans a variety of terrains and scenery, including pine filled woodland, complete with a series of picturesque trails for hiking and biking. The focal point for Vilamoura is the striking marina, where you can while away the hours admiring the luxury yachts. You may well spot some celebrities in one of the many bars or restaurants within the complex. Vilamoura Marina is also home to the Portugal Buying Guide offices, shared with our partners, Smart Currency Exchange. If you are visiting the area on a viewing trip, or are researching the region with a view to meeting some agents and arranging some property viewings, do come in and see us. We can provide you with recommendations for the local area and additional support for your Portugal property buying journey. 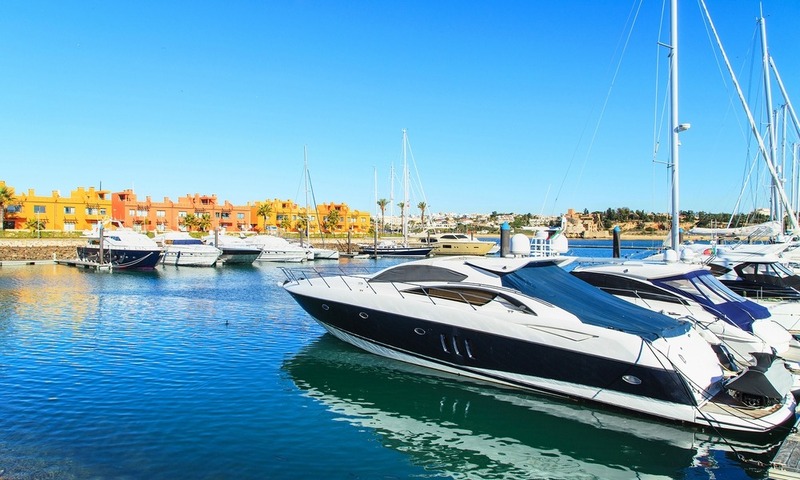 Vilamoura Marina is home to luxury yachts and high-end bars – and, of course, our offices! Again, there are plenty of outdoor sports and leisure activities to enjoy in Vilamoura. Tennis, horseriding and watersports abound. There is also a casino and the inevitable world-famous golf courses! For culture vultures, there is an archaeological site and museum. You can chart the region’s rich history, including its Roman and Moorish influences, over the centuries. Quarteria is almost equidistant between Faro and Albufeira. It’s also just next door to the popular resort of Vilamoura. It’s a potentially more economical place to look for Central Algarve property. Like many locations in Portugal, Quarteira was originally a Roman settlement, and then a sleepy fishing village. However, it has grown considerably since the Portugal tourism boom of the 1960s. Quarteira is popular with regular visitors and holiday home owners, including those from elsewhere in Portugal. The long stretch of sandy beach and its pretty, palm decorated walkway, have enduring appeal. Quarteira was originally a Roman settlement, then a sleepy fishing village, but it has grown considerably since the Portugal tourism boom of the 1960s. Another resort with something for everyone, Quarteria is very close to Vilamoura and has easy access to the famous golf courses of the region. There’s also a large selection of seafront bars and restaurants. These serve a wide range of local delights, particularly fresh fish and shellfish. For shopping, there is a very popular market held every Wednesday. This proves a considerable draw for visitors from across the Algarve. There are plenty of options when it comes to central Algarve property. 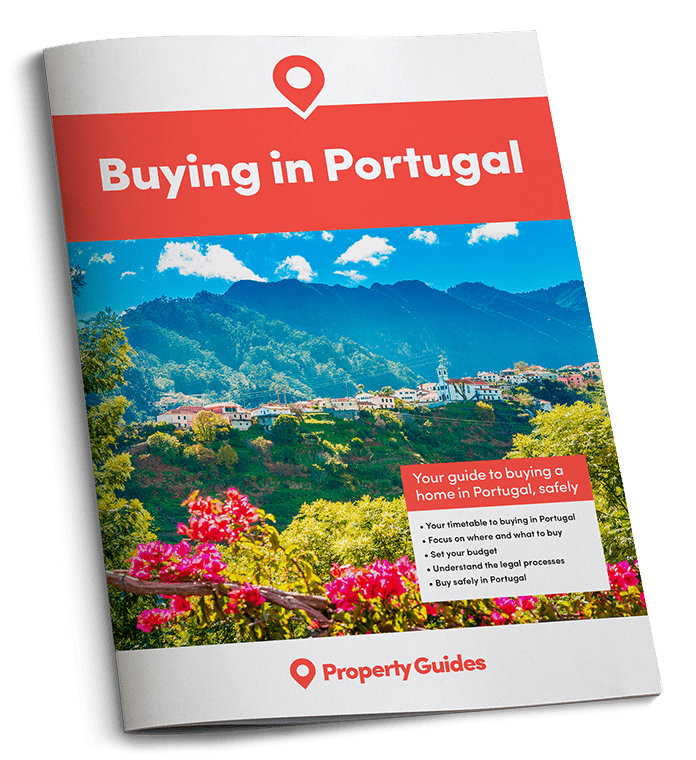 Click here for lots more information on buying in Portugal.